The beautiful "Michoacana" Sarah Lopez who is a student at The University of Las Vegas, UNLV, majoring in Business Marketing was crowned by Mariana Rios Señorita Mexico U.S. 2010. Sarah Lopez will represent the beauty of the Mexican women living in The United States for a whole year. The best beauty pageant ever produced exclusively dedicated to the Mexican Woman living in The U.S.
(1888PressRelease) September 06, 2011 - Las Vegas, NV - Adaluz International is pleased to announce that 22 year old and Michoacán representative Sarah Lopez was crowned this past Saturday September 3rd Señorita México U.S. 2011. The Las Vegas resident was elected among 18 other beautiful Ladies of Mexican heritage that were competing for the title at The Las Vegas Hilton. The Miss Mexico Organization, CEO Adán Pérez and Executive Director Jenny Bolivar were publicly honored at the beginning of the show by Chief of Public Relations of The State of Nevada Gayle Anderson, who read to the audience a Message from Governor Brian Sandoval. 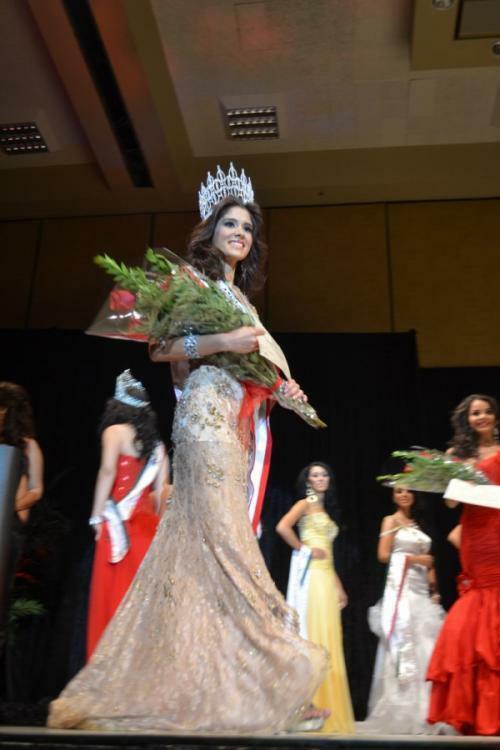 Valeria Romero from Tucson Arizona who represented Tabasco became the first runner up, while the second runner up was Michelle Rivas representing Chihuahua. 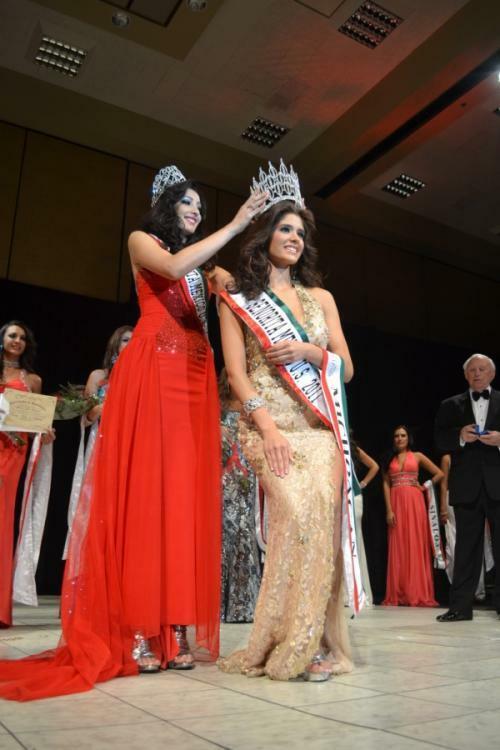 Karla Dueñas Miss Jalisco was exalted as the third runner up, and Stephanie Sparta representing Aguascalientes was the 4th the runner up. Vivian Lemus representing Nuevo Leon earned the Miss Congeniality award, Karla Dueñas from Jalisco was awarded with Miss Photogenic, and Michelle Rivas from Chihuahua was voted the most by thousands of visitors on the website and was awarded with The Missmexicous.com Fan's Choice award. The beauty pageant which started in the year of 2004, mounted a Las Vegas style show which eye browed attendees, as well as media, current and potential sponsors. Housed in Las Vegas from Sunday Aug-28th at The Alexis Park Resort contestants participated in different promotional presentations, and were transported in comfortable vehicles of Las Vegas Shuttle Services. In addition, the contestants made presentations around the city, including Almaza Hookah Lounge, Capo's Restaurant and a Pool Party-runway at Alexis Park Resort's Pool facilities, wearing beautiful blue bikinis of "See you Monday", official sponsor of The Señorita Mexico U.S. 2011 beauty Pageant. The crowning night explosive entertainment's was in charge of The Señorita Mexico U.S. Dancers, International R&B singer Pierre Jovan and International Singer, Ingvar Estrada. Rj Peltyn, Elizabeth Olson and Connie Peña were the Host and Hostesses of the night, The judge panel was distinguished with: Las Vegas celebrity Nico Santucci, Beverly Hills Plastic Surgeon Ryan Kosrabi, Pedro Harce "Don Bull", Local entrepreneur, Francisco Lara, Southern California's entrepreneur and VP of marketing of Diana's Foods and Beverage, Samuel Magaña, Las Vegas business man Rick Willard, the credited photographer Susan Gómez and Towel of Jewel's owner Mr. Jack Weisman who gave a fabulous ring to the elected queen, Mr. Joe Jackson Father of the King of Pop Michael Jackson was chairman of the Judges and Local dignitary Sandy Peltyn was chairlady. The beautiful "Michoacana" Sarah Lopez who is a student at The University of Las Vegas, UNLV, majoring in Business Marketing was crowned by Mariana Rios Señorita Mexico U.S. 2010. Sarah Lopez will represent the beauty of the Mexican women living in The United States for a whole year as the crowning ceremony takes place every month September as part of the festivities for the Mexican Independence.